A most ambitious ‘new generation’ series. Built on a longer wheelbase, it was bigger, lower, roomier and more rounded in appearance, with more models and new mechanical features, including an imported V8 – and a huge choice of factory options. Air conditioning and power windows were offered for the first time. 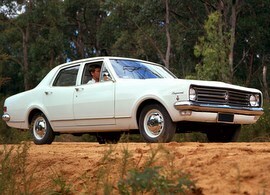 The Kingswood replaced the Special and the pillarless Monaro sports coupe made its popular debut (in a choice of three versions including a ‘Bathurst bred’ GTS 327). An extended luxury version, the Brougham, was also introduced. Safety firsts were an energy-absorbing steering column and a dual circuit braking system. The V8 engine was available on all models. Do you still have the premier.